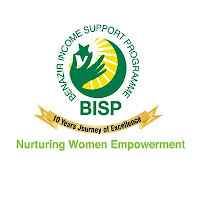 MULTAN: Beneficiary women of Benazir Income Support Programme (BISP) would start getting increased amounts i.e Rs 5000 per family, from the first quarter of the year 2019, officials said. Divisional director BISP Ashfaq Ahmad Haraj told media persons here Thursday that the required funds are expected to be released next week. He said that BISP beneficiaries can get the amounts after getting their thumb impressions verified through Omni accounts. He said that BISP transfers amounts directly to the beneficiaries’ respective accounts to maintain transparency. Haraj advised women to contact BISP tehsil offices concerned to get details about amounts transferred and then proceed further to get cash and put their thumb impressions on register.